When you’re driving through the streets of Coral Springs, you may pass by various mechanic shops, but Tropical Performance is the only place where you’ll find top-notch, experienced workers. We provide a multitude of services, but specifically, Coral Springs oil change is a vital part of our auto shop. Conventional – If you aren’t putting your car under extreme driving conditions, then it won’t need a particular type of oil. Conventional is your standard oil that isn’t expensive and provides improved protection, and performance. High Mileage – For the residents of Coral Springs that have kept their cars for many years accumulating over 75,000 miles, the high-mileage option is the best selection for you. It will help your vehicle run smoother and more extended, reduce oil burn-off, and oil leaks. Synthetic Blend – This mix is the perfect marriage of protection and performance that exceeds the capabilities of conventional. You’re securing better fuel economy, cleaning, and protection against extreme temperatures. Full Synthetic – This is the best of the best as far as oil is concerned. It offers the highest level of defense, functioning, and fuel economy. 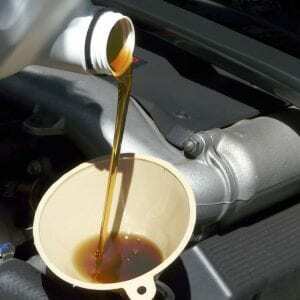 Typically, your vehicle will need an oil change when it hits around 3000 to 5000 miles. It also could be determined on the timeframe, because if you drive less than that, then you should get your car look at after six months. 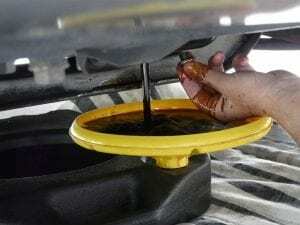 However, if you make long-distance trips from Coral Springs frequently, and hit the mark after 2 or 3 months, then your car has a lot of oil changes in its future. Be mindful of this when choosing your transportation of choice. Our main priority is to take care of our Coral Springs customers with the utmost professionalism, experience, and skill. Every time one of our clients visits our shop, we focus all of our attention on getting the oil changed in the car so they can get back on the road in no time. If you have any more questions, please give us a call at (954) 866-7490.